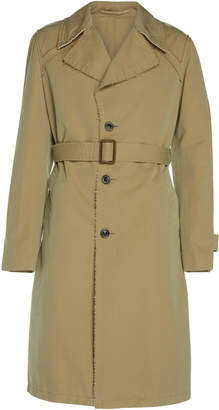 Maison Margiela's 'Tonic' trench is rendered in durable cotton-gabardine that's accented with cool raw hems. The coat is features a removable belt at the waist and an exaggerated notch lapel along the collar. Throw yours on over a sweater to stay professional while traveling in colder temperatures.